48 year old male is bought to the Emergency Department via ambulance following a syncopal episode. They are unable to obtain a blood pressure & describe ‘some sort of device coming out of his chest’ !! He has a past medical history of a severe, familial dilated cardiomyopathy (LVEF ~18-20%) & atrial fibrillation and is awaiting cardiac transplantation. Six months ago he was implanted with a left ventricular assist device. He has recently felt systemically well, however today he reports collapsing without prior warning shortly after getting out of his chair. Following a brief loss of consciousness, he quickly returned to his normal self. 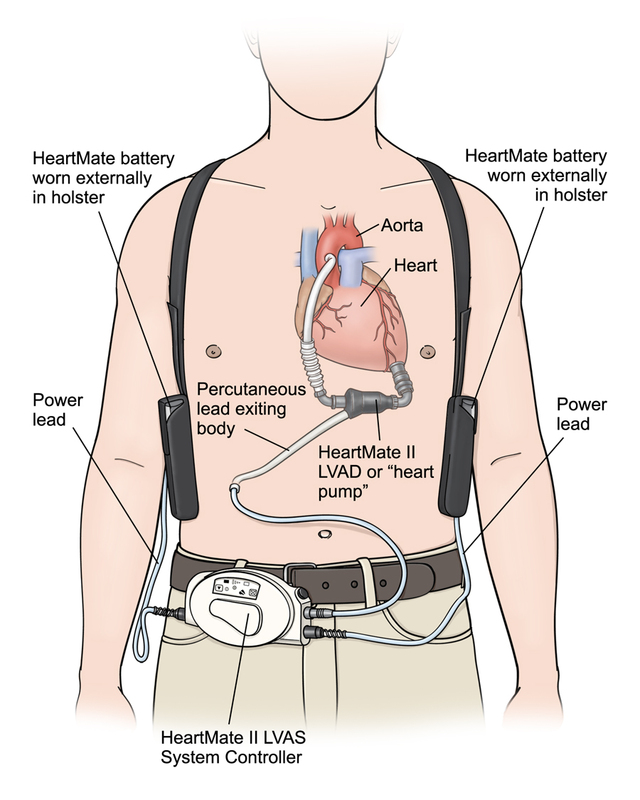 Firstly, what is a left ventricular assist device ?!? Outline your assessment of this patient ? 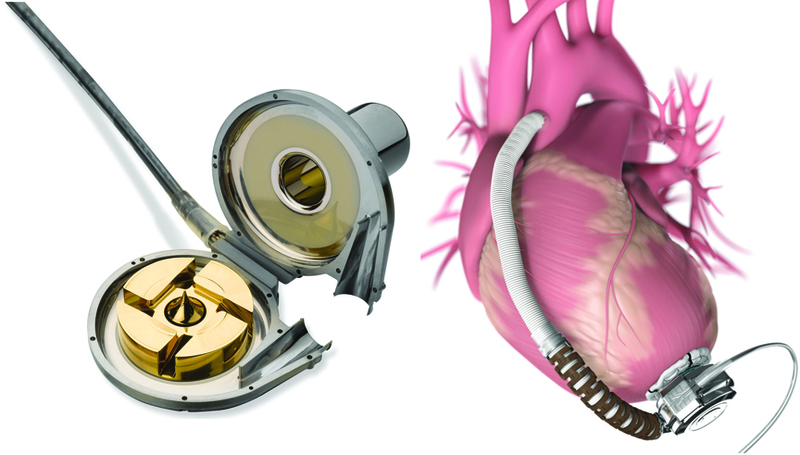 The golden rule of LVADs !! Call your nearest LVAD or Cardiac-transplant centre as soon as possible for assistance in the care of these complex patients !! What could be causing his hypotension ?? Any physiological or pathological influence on either of these can significantly alter pump-efficiency and result in hypotension !! Antiplatelet therapy: often dual agents. Increased incidence of AV-malformations & angiodysplasia of the gastrointestinal tract. Common sites of bleeding include the GIT, epistaxis, intracerebral haemorrhage & intrathoracic bleeding. Clearly most of these will be clinically obvious, but always consider occult GIT haemorrhage in the hypotensive VAD-patient. The management of bleeding in VAD-implanted patients is a particularly challenging therapeutic dilemma. If anticoagulation-reversal is undertaken, it should be for as short a time-period as possible. You do not want them going on to have a subsequent embolic/thrombotic event !! There are multiple case reports regarding the various therapeutic options for life-threatening haemorrhage & they include; prothrombin complex concentrates, FFP, TXA, desmopressin [defective vWF] & Factor VII. Every VAD-patient that presents to your department should have a 12-lead ECG as soon as possible…. Both ventricular and atrial dysrhythmias are incredible common amongst patients with VADs. In fact; ventricular dysrhythmias can be surprisingly well tolerated in these patients, with multiple cases reports of very stable patients in both VT & VF !!! 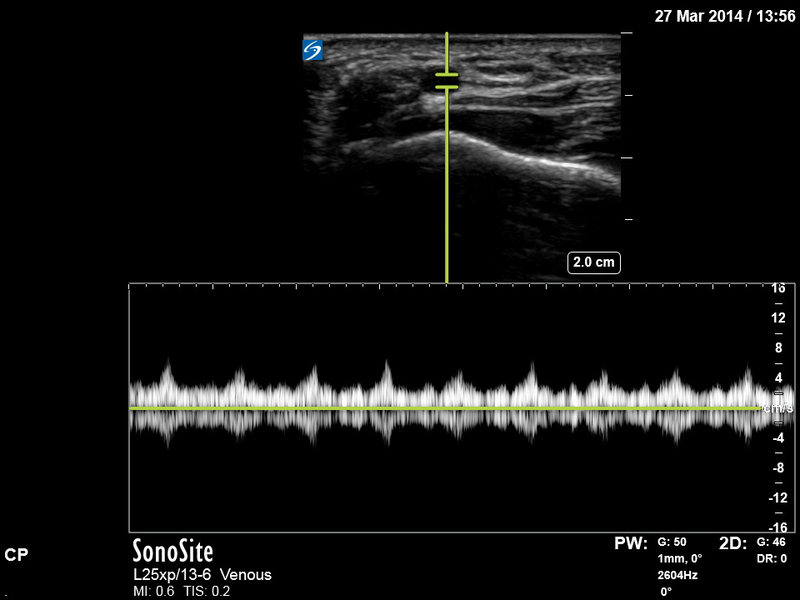 At your VAD centre – there may be attempts to reduce VAD-pump speed; but this is usually performed under guidance of transoesophageal ECHO. 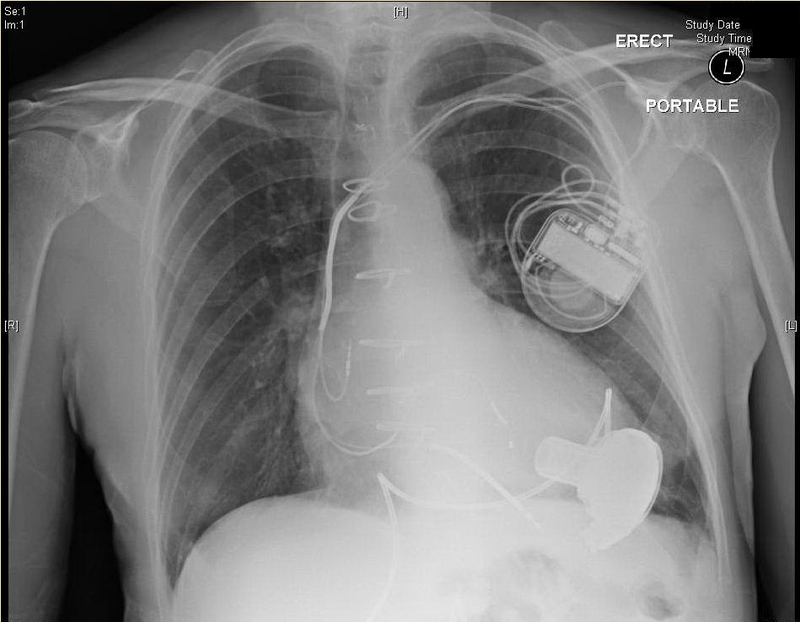 A result of large negative pressures within the LV created by continuous-flow LVADs. 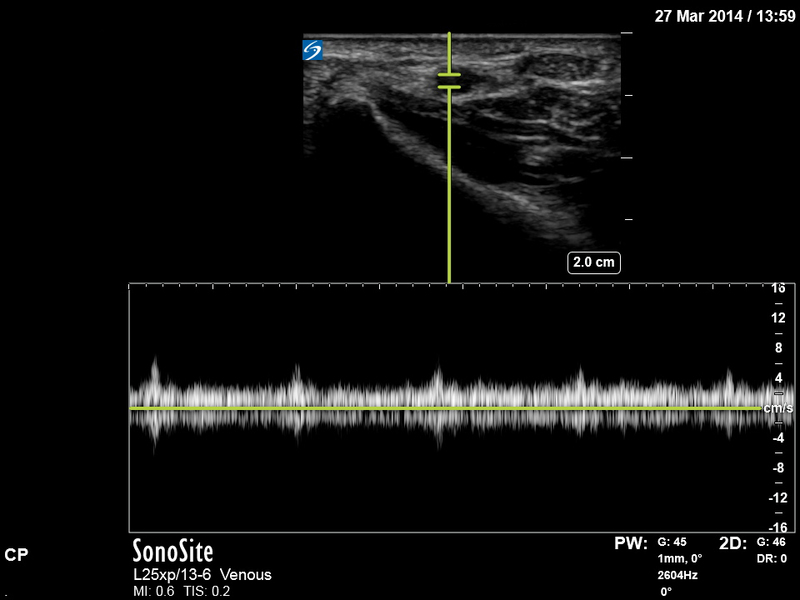 This results in the LV collapsing on itself, causing marked leftward deviation of the interventricular septum. IV fluids & maintain preload. Obtain and ECG & treat dysrhythmias as above. 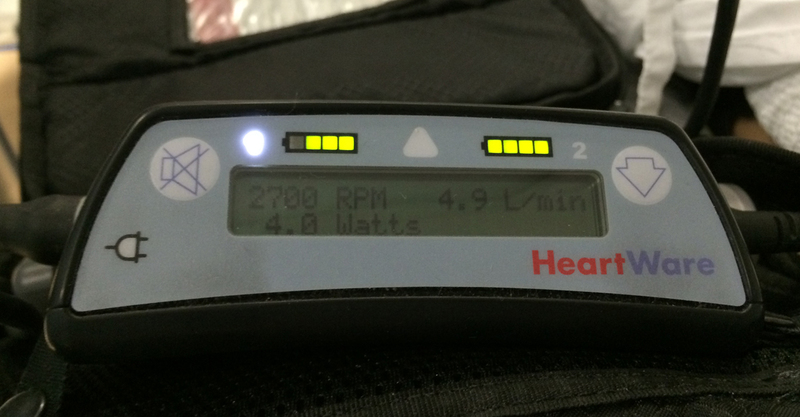 Again; your VAD-centre may adjust pump-speeds. Infections can involve any portion of the VAD including the surgical site, driveline, device pocket & the pump itself !! Whilst Gram-positive organisms are more commonly implicated in VAD-infections, don’t forget to cover for Gram-negatives & multi-drug resistant organisms. Fungal infections have been documented also. Culture these patients from every possible site [including exit-site swabs] & maintain a high index of suspicion for occult sepsis in VAD patients present with either hypotension or fever ! So what happened to our patient ? With his borderline hypotension, he was rather symptomatic with postural changes. Soft, non-tender abdomen with negative PR. Electrolytes & renal function normal for him. Inflammatory markers unremarkable. WCC 8, CRP 14. 12-lead ECG: atrial sensing, ventricular pacing. No episodes of dysrhythmia whilst on telemetry. PLAX view. 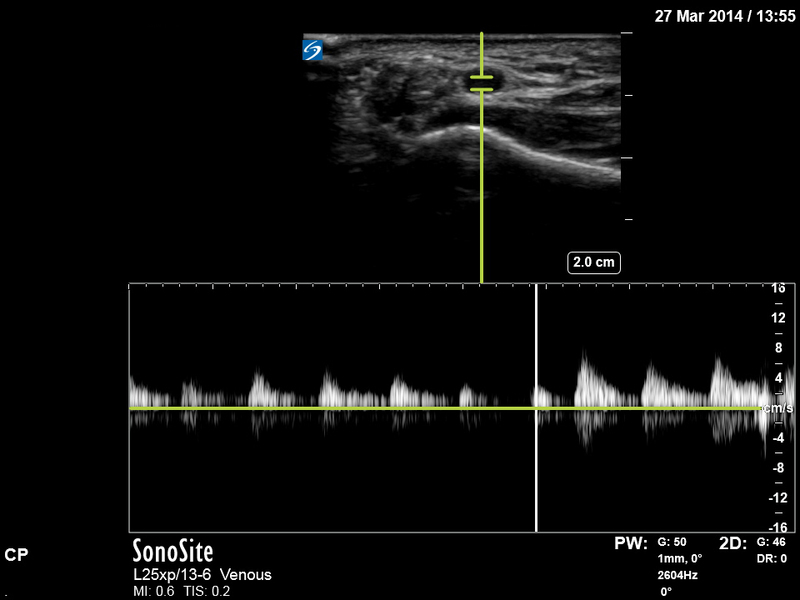 Inflow cannula visible in LV-apex. Small RV. No pericardial effusion. Marked respiratory collapse of the inferior vena cava suggesting volume depletion. I acknowledge that my paper is not Free Open Access; hence why I have put this post together. I am however able [& very keen] to email you a copy upon your request. So, email me at [email protected] & you’ll get your copy !! Absolutely fantastic write up Chris – great work. Great write up. knew very little about this! Concise, well written and breaks down important questions!